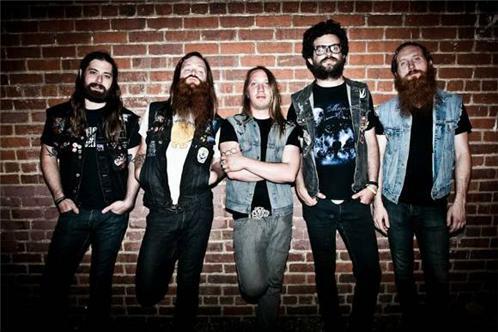 Valient Thorr is an American rock band from Chapel Hill, North Carolina. Valient Thorr began playing together in 2000. Their first show was on Easter of 2001. They released two demos, "Raw" and "We Come From The Morning Star". Following the demos, Valient Thorr self-released their first album on July 1, 2003 (only pressing 1000 copies which were sold at shows), Stranded on Earth, which had the same musical setup as present, but one of the guitarist, Jin Thorr, used a keyboard, 'ic. They packed hometown shows all over North Carolina and at their local favorite venue Kings Barcade. They did their first major tour of the United States and Canada shortly afterward, doing 47 shows in 52 days. After replacing original drummer Donn Thorr with current drummer Lucian Thorr and ditching the keyboard entirely live and on release, they were soon signed to Volcom Entertainment, where their full-length album Total Universe Man was released on June 7, 2005. At that point, upon completion of several master's degrees, the group members gave up their regular jobs and set out on the road. They performed on the Volcom stage on the Warped Tour 2005, for the entire tour, except for a few shows where they played the main stage. They continued touring, taking only six days off for Thanksgiving and ten for Christmas. Along the way, they lost their original rhythm guitarist, Jjinn Thorr, and replaced him with Bjorn Thorr to finish off the end of the year. They played in Hawaii with Andrew WK and then began 2006 by going on tour with Hot Rod Circuit and Piebald. After his departure, Eiden Thorr took Jjinn's old position at shows, moving from Stage Right (the position he held since the band's inception) to Stage Left. In February 2006, they stopped briefly in Costa Mesa, California to write the follow-up to Total Universe Man. After Bjorn Thorr's brief stint, guitarist Odinn Thorr was asked to join the band. On July 11, 2006 they released their follow-up album, Legend of the World. They toured the entire Warped Tour again for the summer of 2006 playing the Volcom Stage, with the exception of a few main stage slots, including the hometown stop in Raleigh, where they closed out the night after NOFX and AFI on one of the two mainstages to a packed crowd. They continued to tour throughout 2006, including a tour with Joan Jett and the Black Hearts, Eagles of Death Metal, and ending the year touring with Gogol Bordello. Valient Thorr played 272 shows in 2006. Taking no time off for Thanksgiving in 2006, and only 2 days for Christmas, they drove back to California to play New Year's Eve at the Viper Room in Hollywood. In January 2007 Odinn Thorr was replaced by Voiden Thorr(guitarist for Texas metal duo Golden Axe). Valient Thorr continued to tour right through 2007, beginning with a four month tour with Fu Manchu. They did two months in the US, and then traveled overseas for the first time, playing Europe, the UK, and Scandinavia. They returned home, and co-headlined the very first Volcom Tour with labelmates the Riverboat Gamblers. They ended the year by returning to Germany to tour with Motrhead for three weeks, and then returned home without a day off to do three weeks with the Sword. Valient Thorr wrote the follow-up to "Legend of the World" in Costa Mesa, California, which was produced by Jack Endino and recorded by him in Seattle. It was named "Immortalizer", and was Valient Thorr's fourth album in five years. It was released on June 17th, 2008. The song "Fall of Pangea" is an unlockable song in Harmonix's game Guitar Hero II. The song "Heatseeker" was featured in Rob Dyrdek's Fantasy Factory, and is used as a song track in EA's racing video game Need for Speed: Carbon. The song "Man Behind The Curtain" appeared in EA's skate. video game. In late May 2008 Valient himself went under the blade in order to donate his kidney to his diabetic earth father. Three weeks after recovering from kidney donation surgery Valient Himself and the band returned to Europe and played their biggest shows to date including the Download Festival in Donington, and Graspop in June 2008. They continued to tour Europe that summer and returned home to tour with Early Man, Monotonix, and Skeletonwitch and then again in the fall with Motorhead, the Misfits, Year Long Disaster, and ASG on the Volcom Tour 2008. The next few months were filled with events. -On November 11, 2008 Valient Thorr released In Heat, a feature length documentary about the last five years on the road. -They also played ECFU Turbojugend Fest in Atlanta on Halloween 2008, The Fest in Gainesville, Florida in November, and toured Hawaii in December. -On January 30, 2009 they did a full set for a local charity playing as Funkadelic in Raleigh, NC. -On February 5 they played in East River Park with Anthrax for Red Bull's Snowscraper Event. -On March 7 they played the Harvest of Hope festival in St Augustine Florida and toured the US out to SXSW 2009. In June 2009 they went back to Europe, touring with Mastodon in the UK and Paris, and headlining all over western Europe. In the fall they toured the US again with Early Man, and Red Fang. In November and December they went back to Europe again to play in Scandinavia and eastern Europe. In March 2010 Valient Thorr have announced they will record their 5th album and followup to Immortalizer with Jack Endino. 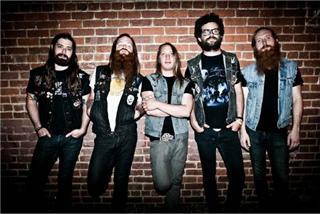 In February 2010, it was announced that Valient Thorr would be supporting Mastodon on their US headlining tour. 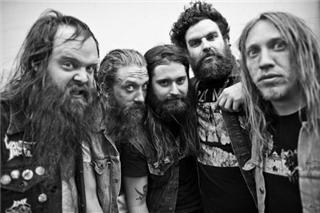 In early 2011, Valient Thorr was announced as the supporting act for Motrhead's 2011 North American tour in support of The Wrld is Yours.